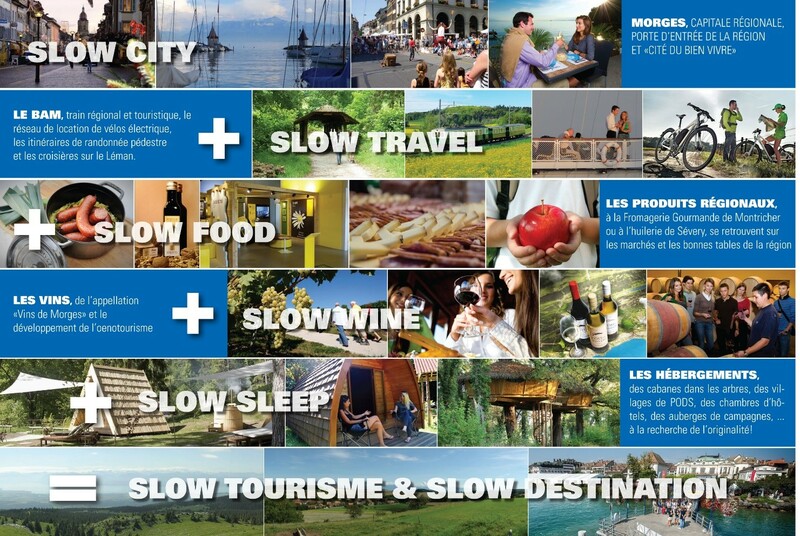 If you choose “slow tourism”, you are choosing an antidote to everyday stress. Authentic experiences are more important than discovering as much as possible as quickly as possible. “Slow travellers” take it easy, seek contact with local people and value environmentally friendly behaviour. They appreciate good food and regional products, enjoy tasting local wines and are interested in the cultural heritage of the region. They are committed to gentle mobility and prefer travelling by train, bike, horse or on foot. The innovative aspect of this project is the establishment and development of a broad range of services covering five different “slow” areas. Certain areas have existed for a long time, such as “slow food” or “slow city”. The new and unique element is the intention to position and market these five areas as a global offering, involving local stakeholders. “Slow travel”, “slow sleep” and “slow wine” are being added to the two areas already mentioned.